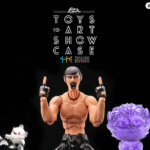 Toy2R proudly announces the next stop on the 15th Anniversary World Tour – Rivet Gallery. Known for their extensive exhibit schedule and their talented roster of artists – Rivet Gallery is the premiere venue for DIY shows in Columbus, Ohio. 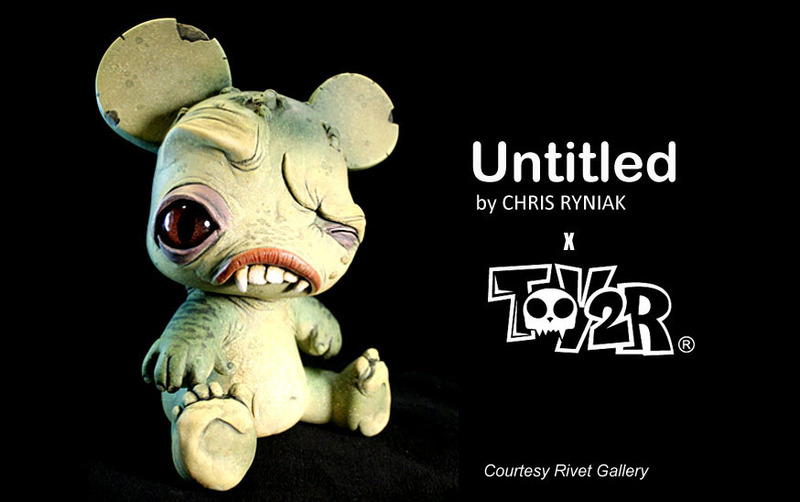 Curated by Laura Kuenzil – this show will be nothing but unique. 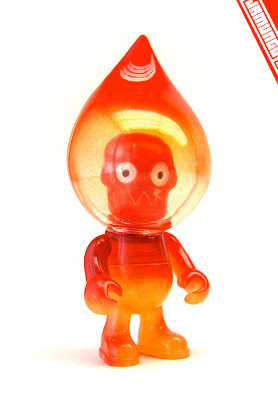 In fact, the entire exhibit focuses on Toy2R’s 3.5″ Baby Qee line. Don’t be fooled into thinking this is just another cute show – these cuddly critters will amaze and bewilder you – plus it will be benefiting a good cause, The Ronald McDonald House. 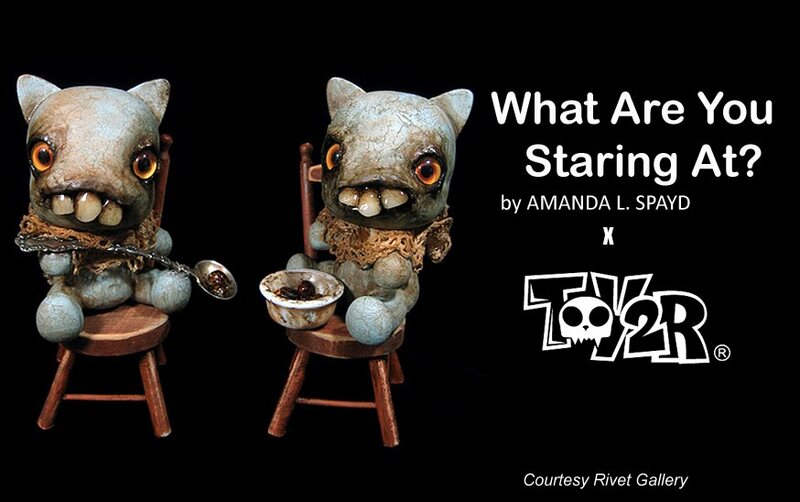 The line-up of artists include: Adam Levene, Amanda L. Spayd, Amy Kollar Anderson, Andrew Bawidamann, Andy B. Clarkson, Angela Matteson, BetsO, Chas Ray Krider, Chris Ryniak, Clinton Reno, Dave Perillo, Jenna Colby, Joe Scarano, Johnny Yanok, Laine Bachman, Okkle, Sharon Bell, Tom Williams, and Troy Stith. To learn more about each artist head over here. An opening reception will be held on April 3rd from 7:00 to 10:00. The figures will remain on exhibit from April 3rd – through the 28th. 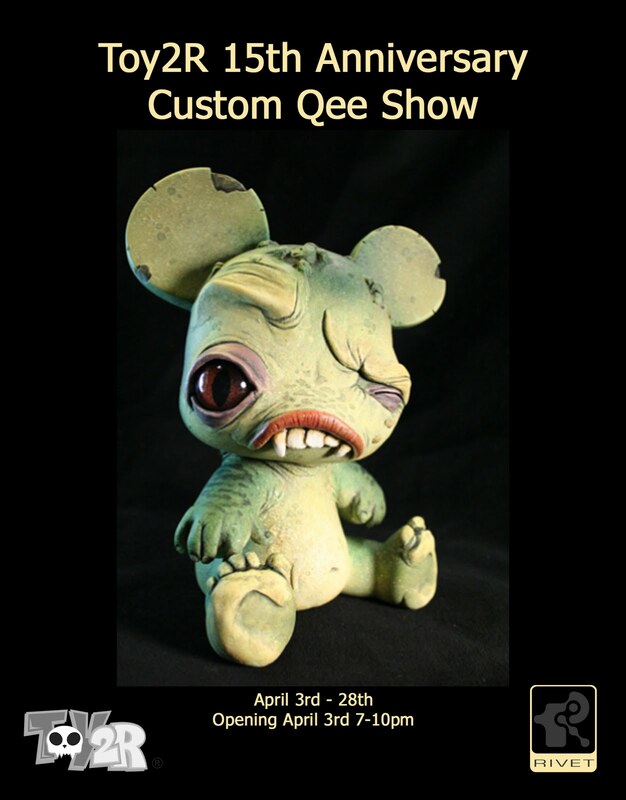 25% of the sales proceeds from these Baby Qee figures will be donated to the Ronald McDonald House. To learn more about Rivet and their schedule of shows, check out the Rivet site. This post contains some advance looks at Chris Ryniak’s and Amanda L. Spayd’s customs for the show. I have no further info on this amazing ThreeA release save for a picture I found on the ThreeA Production Blog. Link below. Patricio Oliver has a sort of dark, twisted "evil children" aesthetic that I love. He was the one that designed the creepy/cute Cucos mini figure series made by Kidrobot last year. Find out more about PO! (Patricio Oliver), his Tenebrae and this upcoming Almond figure at his website here. 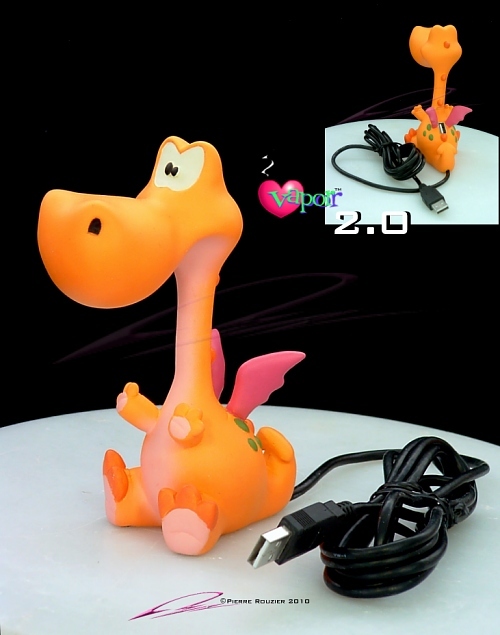 Pierre Rouzier presents the 2nd version of his Vapor figure, complete with a USB port and extension cable. Find out more here on his blog. Makes a killer interface for your Mimobot!!! 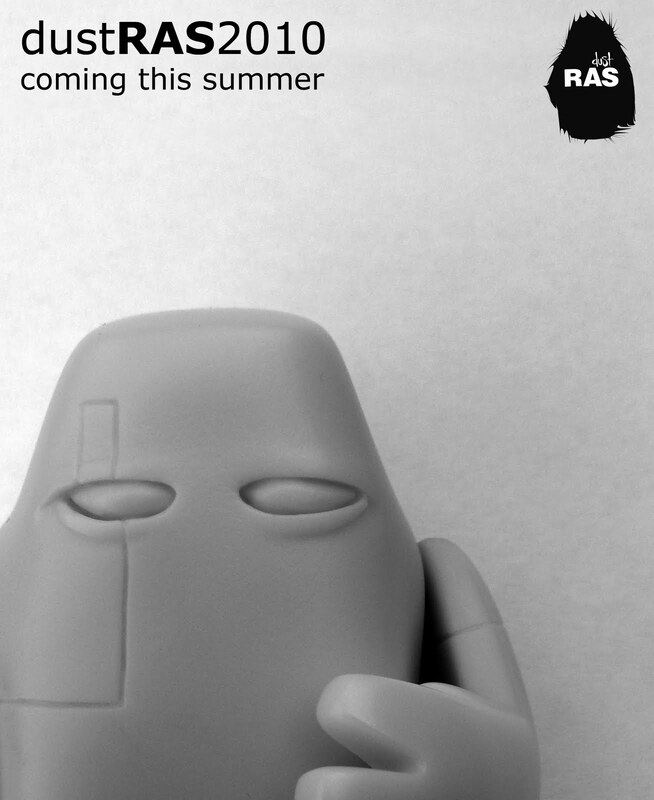 DUST from Germany reveals a teaser of his upcoming toy, RAS2010. See more pics on his blog here. This one will be released a little differently...simply go here and add your name to the list. 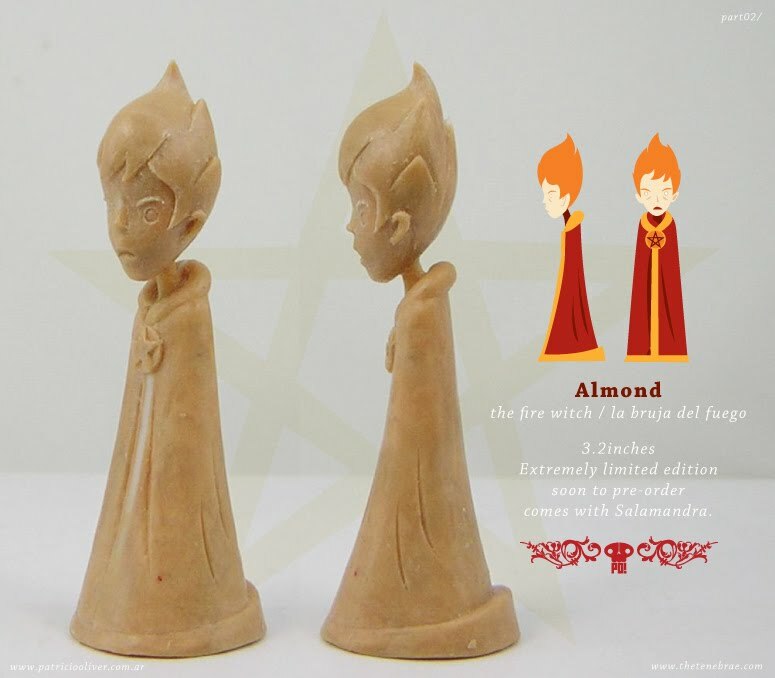 - the list will be capped around 50 or 60 pcs or at the 48 hour mark, whichever comes first. On Friday I made my monthly pilgrimage down to Forsyth Street to go see the Sketchbot custom show at MyPlasticHeart. Sketchbots are the first vinyl production toy by Steve Talkowski, a local NYC toy guy. Sketchbots definitely make a solid customizing platform as you will see in the pictures I took. A few appear in this post but you may see all of the pics in the set I uploaded to Flickr. I have to say that this was an exceptional custom show, even by MPH's high standards. I am not sure if it was the super-high-quality customs, the range of styles represented, the extremely positive and supportive crowd, or what. But it was just a really great time. I definitely recommend a visit if you're in the NYC area. Visiting on holiday from Germany was Wolfgang, aka VISEone from PatchTogether, who I was meeting in person for the first time. As our "guest", of sorts, from overseas, I made sure to intro him to the full cast of NYC characters: NEMO, Mr. Den, Andrew Bell, OsirisOrion, Stephen from Tomopop, Vin from MPH, Lou Pimentel, LYS0L, Grim & Saki from iheartcoolstuff, King Abnon, Eric from Argonaut Resins, and the man himself, Steve Talkowski. All in all, a great show. Many thanks to everyone from MPH, who welcomed in a big crowd and put on a great show. And congrats to Steve Talkowski for such a successful launch of the Sketchbot! If you are interested in purchasing a DIY Sketchbot to customize yourself, email us at tenacioustoys@gmail.com. We'll get em when they are released.